Dig dinosaurs? Then Northeast Montana is the place for you. Remnants from Montana's history lie buried in our soil, waiting for you to uncover. Dinosaurs once roamed this amazing landscape, and now you can dig for fossils, explore prehistoric museums and journey back in time, all in our own backyard. Come see all there is to discover in our state’s northeast corner and experience the Montana you’ve never discovered before. Millions of years before the formation of the Missouri River in Montana, dinosaurs made this once lush wetland their home. 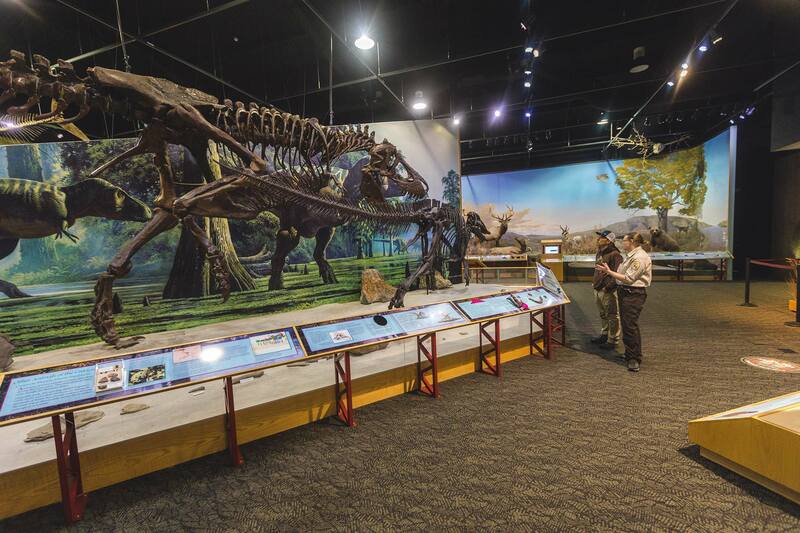 Today, Northeastern Montana has provided a wealth of world class fossil discoveries and is home to many museums where visitors can learn about the giants that once roamed this landscape. The Tyrannosaurus rex finds in Missouri River Country are among the most outstanding. The 66-million-year-old Cretaceous carnivore weighed nearly ten tons and was 40 feet long. The first scientifically described T-rex was excavated in Montana in 1902. More T-rex skeletons have been found in Montana than anywhere else. Excavations around the region continue to take place annually. Some digs are open to the public. For more information on the Montana Dinosaur Trail, click here. For more information on Dinosaur activities in Missouri River Country, click here.